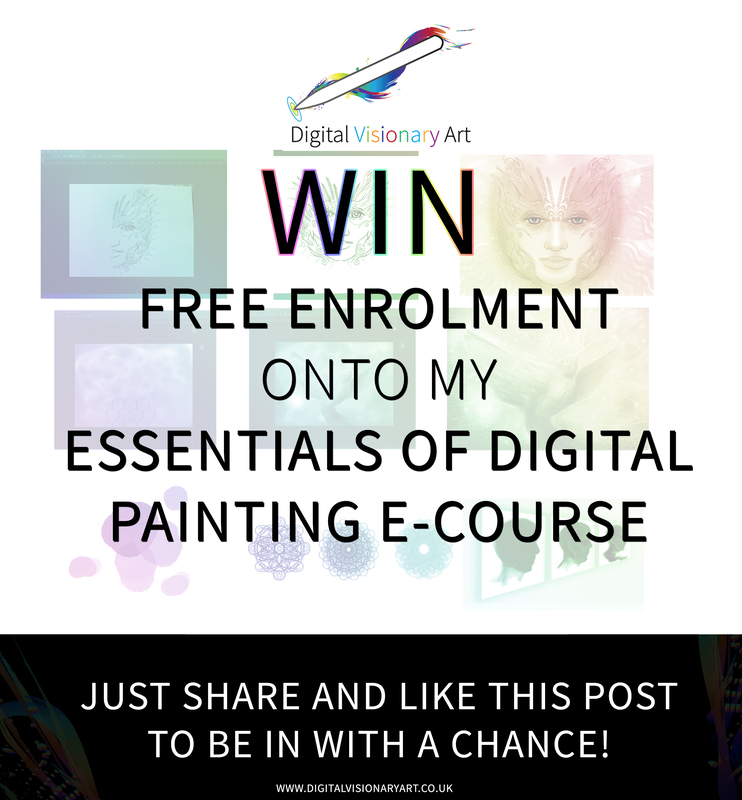 Win free enrolment onto my Essentials of digital painting e-course! It has nearly been a year since I launched my online e-courses, so to celebrate this I am giving 2 people the chance to win free access to my Essentials of digital painting course! All you have to do is share and like this post, I will be picking the winners this weekend so get in there quick! The Essentials of digital painting course is perfect for those who are new to creating art with Photoshop. The course features over 3 hours of video tutorials, 7 in depth modules, free resources such as Photoshop brush packs and many many useful tips and insights into the digital painting process.